The ActiTarg-P Collection is a screening set of molecules that contain chemical lattices present in compounds reported in the technical or patent literature to possess various protease-inhibiting properties. 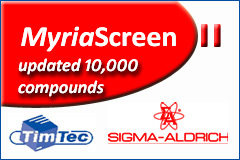 ActiTarg-P includes over 2000 pre-filtered compounds from several different chemical series. Structural constraints and novel pendants within these molecules provide the structural variability to identify new chemical directions for hit optimization. 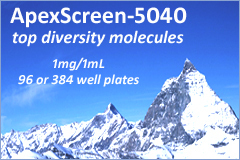 Top diversity selection of 1,520 protease inhibitors are available in smaller sets of 3, 5, 10, 15, or 19 plates with 80 compounds per plate depending on the scale of screening application. Dense in diversity and refined subsets, ActiTarg-240, ActiTarg-400, ActiTarg-800, and ActiTarg-1,520 are screening tools with drug-like representatives from each of these chemical series for identifying optimization direction for new protease inhibitors. Compounds are available for cherry-picking and/or as an entire collection of 1,520 in 96, 384-well plates and in vials. 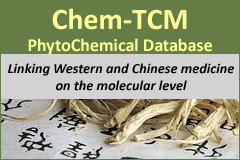 To meet the interest and needs of investigators who are trying to identify low molecular weight, drug-like molecules with the ability to inhibit various proteases, TimTec has assembled a library of compounds with potential protease inhibitory activity.